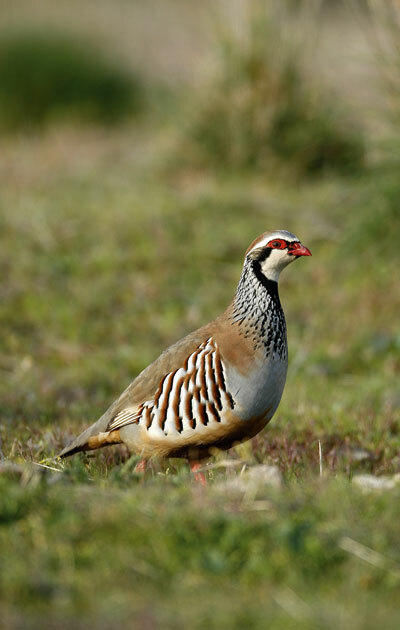 The story of how redleg partridges from Patxi Garmendia’s rearing operation Grupo Altube are causing a stir in Suffolk. Spanish partridge shooting - in a league of its own. For Suffolk keeper Tim Coll, August Bank Holiday 2013 marked a new experience. Already the custodian of 11,000 French redleg partridge and 5,000 pheasant poults which had been feasting on his undulating acres in the Vale of Kersey, into his life rolled two small lorries to discharge their precious cargo of a further 4,000 17-week-old partridge poults. Whilst all his other birds came via Peter Rushbrook’s Boxtree Game Supplies a stone’s throw away at Wattisham, the new intake had begun their lives and journey in Burgos, north of Madrid, the throbbing centre of Patxi Garmendia’s Grupo Altube, Spain’s biggest partridge-rearing operation. They rear and deliver anything up to four million birds annually. And these birds come with the best of credentials and provenance from Spain’s wildest indigenous strains, none more than a third generation removed from the wild, so they are fit, flighty and feisty. Patxi Garmendia is something of a legend in Spain. The success of his Santa Rosalía estate is built around his passion for natural quality. 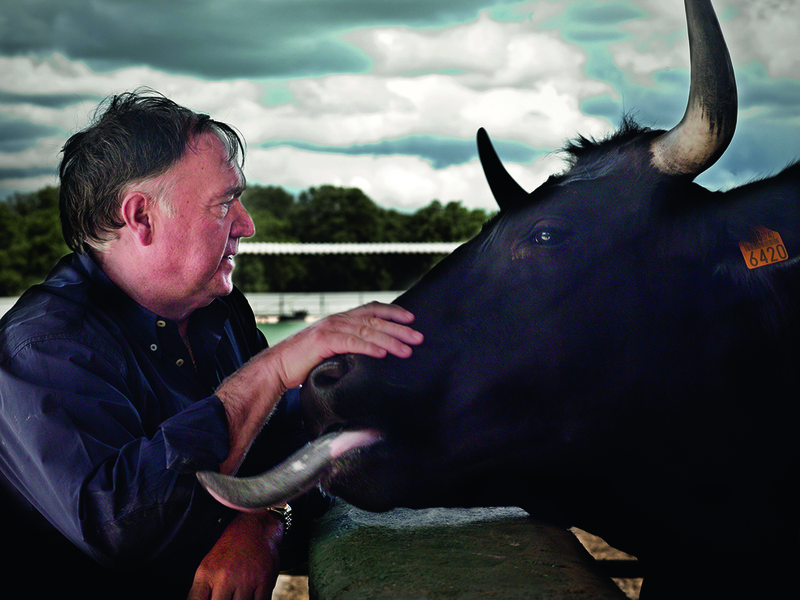 Whether it’s the redleg partridge, the Japanese black wagyu beef cattle or his rosé and vino tinto wines, everything comes from his love of natural process and his land, which is farmed organically. And as far as his partridge are concerned, Patxi does ‘wild’ really rather well. According to initial reports, these Spanish redlegs are delivered ready for release, fly well and provide good returns. Genetics play a big part in the process and the provenance of these birds is carefully managed to harness the wilder instincts and behavioural traits by continually injecting fresh blood into the strain. The Altube birds, or Abuelas silvestres are referred to as ‘wild grandmothers’, their eggs come from the wilder tracts of Iberia and are incubated in specially designed housing under strict controls, which produces healthy, lively chicks. Once hatched, the birds are moved to rearing facilities with bags of space to produce a flow of poults fully adapted to their natural environment. After 16 weeks, they are transported to customers in ventilated, humidity-controlled vehicles. Thus did Tim Coll’s intake arrive in Suffolk, 12 to a box, each box complete with a small jelly pat containing water, electrolytes, minerals, vitamins and proteins for nourishment and rehydration in transit. Demonstrably these Spaniards arrived in perfect condition after around 26 hours on the road. According to Patxi they should all have been released straight to wood but keeper Coll was more cautious, dividing them into two batches of 2,000, one batch released into 40’ x 40’ pens and one directly into sugar beet. Even now he seems a little phased by having been asked to let them run wild immediately but the results spoke for themselves and there was only one fatality in the first 48 hours. More interestingly it was their singular behaviour that was most obvious from the start, with much less scuttling about on the ground and much more taking to the air and disappearing over the hedge. This bode well and suggested they would be less likely to fall victim to local predators than their French cousins. As Tim explains it, the deal was really a no-brainer with minimal down side. Working on the basis of one bird per acre shot over, Patxi would put 4,000 16-week-olds into the shoot, together with his specially designed feeders, water bath drinkers and his own food. With a 30-year track record of breeding and improving the birds, the ‘special’ diet comprises fibrous pellets that replicate what they would be likely to find once released. In turn, this gives them a big gizzard and digestive metabolism identical to wild birds, and allows them to feed immediately on what they can forage naturally, once to wood, and a better in-built immunity to cope with the higher populated density. In return for his initial largesse, Patxi would require two 300-bird days, on which he could host potential buyers for the 2014 season. Keeper Coll is a countryman to his bootstraps, born and reared within a sparrow fart of The Vale and clearly at peace with his job. He brought on pheasant eggs under bantams whilst still in short trousers and after leaving school worked on the local farm. The owner saw his potential and sent him on a YTS scheme to Sparsholt Agricultural College in Hampshire, where he studied game and wildlife management. Once back in Suffolk, his aspirations increased over the past 11 years from a few January let days on 250 acres to a comprehensively commercial business which now comprises around 50 days on 4,000 acres, farmed by four different owners. It was into this environment that he tagged and introduced his Spaniards, but made few concessions: “I was sceptical at first, but having seen the first batch, I appreciate that genetically they are different: they flew higher and faster than the French birds from the start of the season and were big enough for us to have shot them out of the boxes had we been minded to. They held fantastically well and they never needed an early season stir up. They flew at least three times before we managed to get them over the guns, so control was everything. Patxi Garmendia runs his enormous redleg partridge rearing business in tandem with his organic wagyu beef farm and vineyards. Some Spanish shoots regularly record returns of better than 50 per cent but in its first experimental season, The Vale delivered comparative returns of 41 per cent for its French birds and 43.5 per cent for the Spaniards, which is not too shabby, and Tim Coll says there were plenty left on the ground to pair up for this coming season. Grupo Altube guarantees a 40 per cent return if their management advice is adhered to (if there are losses it will replace on a ratio of 2:1). It does not sell eggs or day-olds and can supply the UK market from existing resources. Currently, the feedback suggests Grupo Altube will be selling more than 50,000 birds into the UK next season and it has orders from estates in Berkshire, Buckinghamshire, Hampshire and Suffolk. So the word is passing that our Spanish invaders are good, as we know they are, but it will take some time.